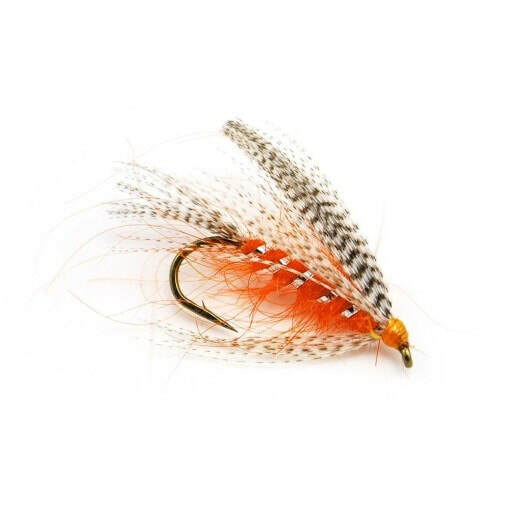 Travel back in time with the “Doctor” for a “Special” tying event. Explore some popular Pacific Northwest patterns from the past. 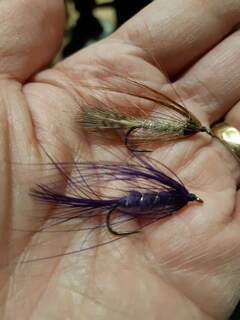 At Winston’s suggestion, I’ve chosen two patterns that should work for spring fishing. 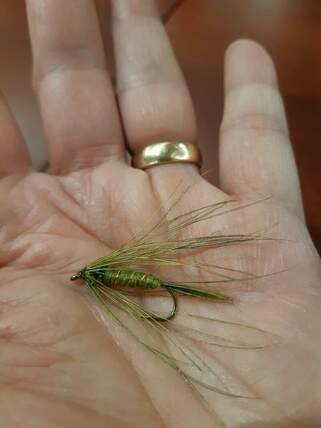 Simple to tie ( often only 3 components), but extremely effective ( actually deadly in the right conditions). 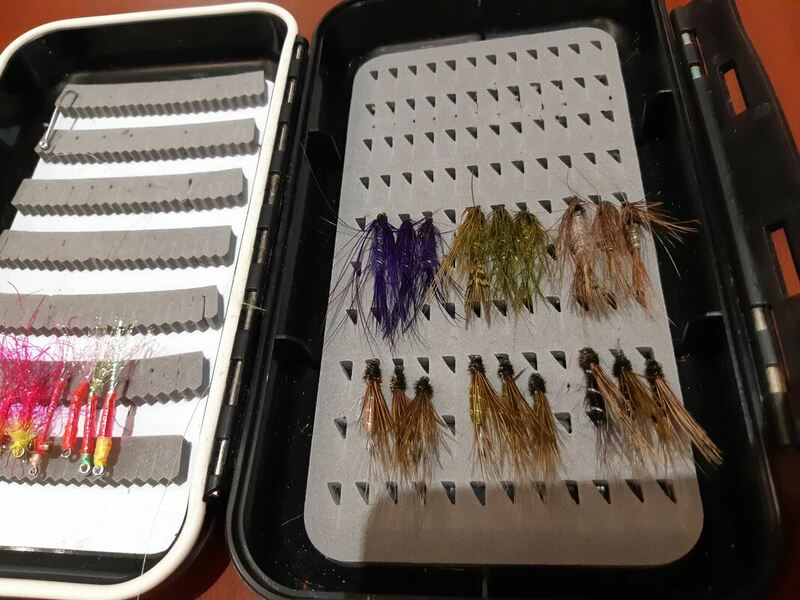 From April onward, you can fish the Cowichan, Little Q, any stream in the interior of BC with nothing but a box of “softies” and one or two dry patterns . All you need. 1.The hackle – game/soft hackle such as partridge, starling, hen, and a host or others such as grouse, quail, snipe… ). Some feathers ( e.g, coot, waterhen, snipe, plover, jackdaw) used in the wide range of patterns, are difficult to find – but partridge, starling and various hen hackles really suffice. 2.Body materials- often only the tying thread is used, sometimes a floss if a fuller body is needed. Dubbing – such as hare’s ear, mole , seal’s fur, peacock herls, a whole range of synthetic materials . 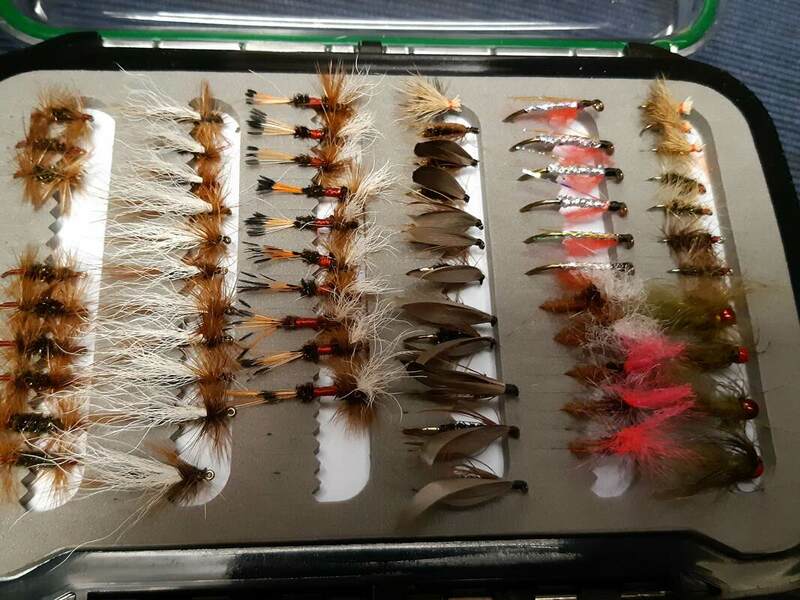 3.Hooks – can be straight eye or down eye light wire or medium wire hooks depending on the depth at which the flies are to be fished. There are special spider hooks produced by some companies, but these are not necessary. Needed for the April session. 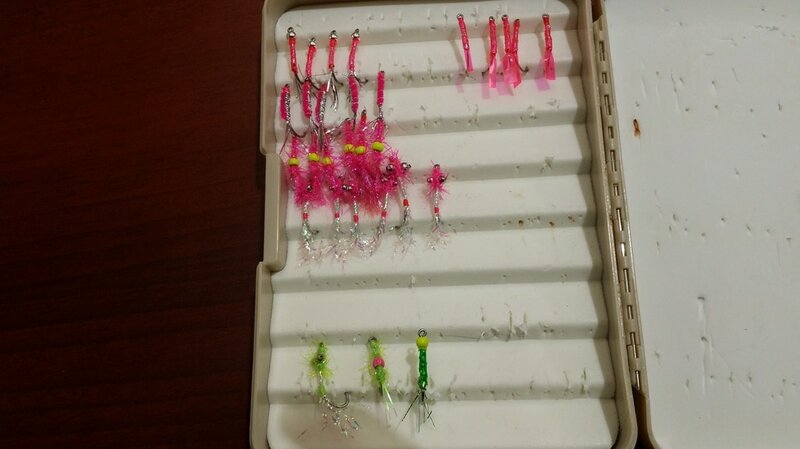 Hooks ( your choice dry or wet) size 12 ( 12 is a good size for practice )– 10 if you feel more comfortable with the larger size. Tying thread – colour of your choice – orange, green and black probably best , plus floss in same colours. 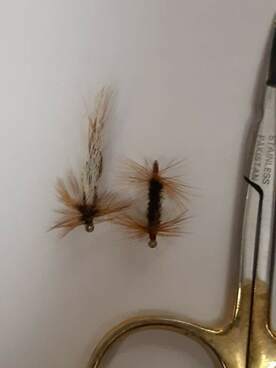 We will tie/demonstrate three basic patterns- orange partridge, march brown spider, starling and peacock. I will supply starling hackle, hairs ear, and (possibly partridge). 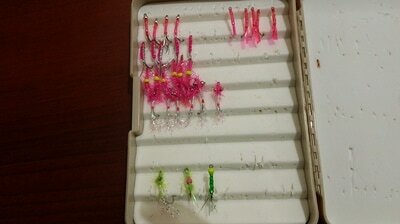 Hook would be size 10 - 4, preferably a saltwater hook, regular or longer shank. Body material traditionally would be chenille, but lots of different materials can be used. Rib material traditionally would be flat silver, but again whatever a creative mind can see. 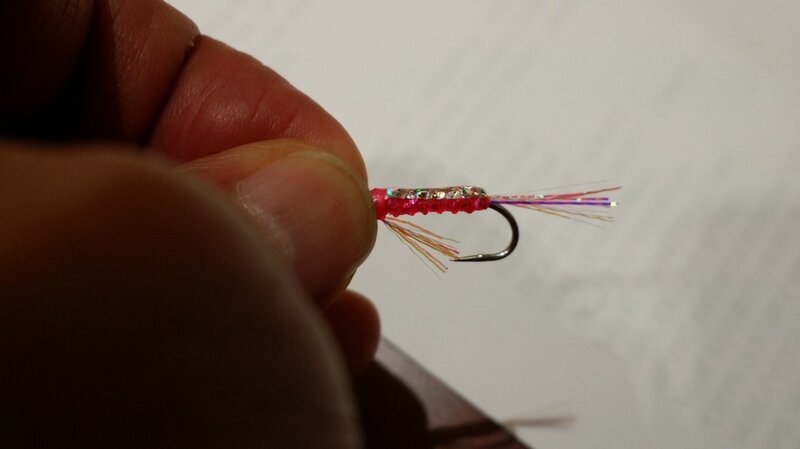 Hackle is usually natural mallard flank, but I used dyed pale pink and blue for my dusk and dawn patterns. Other duck flank feathers as well. 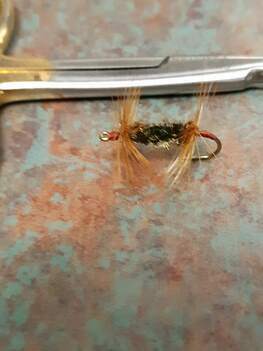 Thread can be black or something to match the body or hackle, or mono. SIZE – ¼” Diameter, 1 5/8” Long, (6 Per Pkg). Eyes can be “punched out” using an appropriate diameter, length of metal tubing, Brass, (from a Hobby Shop) or a piece of an old telescoping Car Antenna. 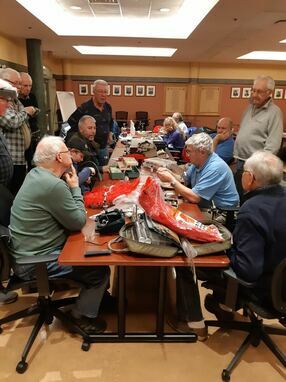 CUTTING FLAT PLASTIC i.e. “EDGE BRIGHT or LAZER WRAP” TYPE MATERIALS, FOAM SHEETING etc. 1 - ROTARY “MATERIAL” CUTTER. 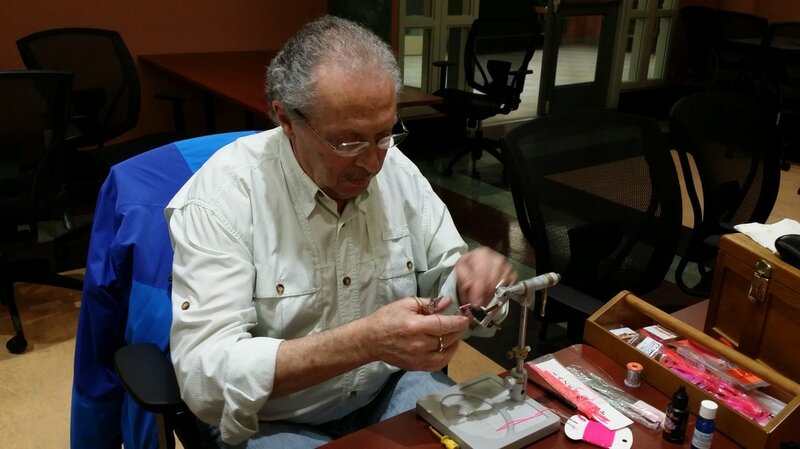 2 – SINGLE EDGE RAZOR BLADE, METAL RULER AND A PIECE OF “PLEXIGLASS” OR “LEXAN” TO CUT ON. USE – Head Cement, coating bodies for durability. Dries in 60 Seconds, from Walmart or probably anyone who sells Sally Hansen nail polish. USE – Quick drying Head Cement. “FOAM SAFE” Super Glue available from “BC SHAVER AND HOBBIES” on Fort Street in VICTORIA. USE – anytime you are securing foam to a fly and are unsure as to whether other types of glue may react poorly with the foam. 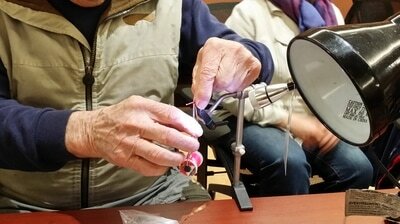 ​Fly tying experts demonstrating the Sooke River salmon flies, the "handle bar"
​Note location of meetings on map and it is held at 1575 Lyall Street, in the basement of CPO Mess building and parking is free in the adjacent lots. 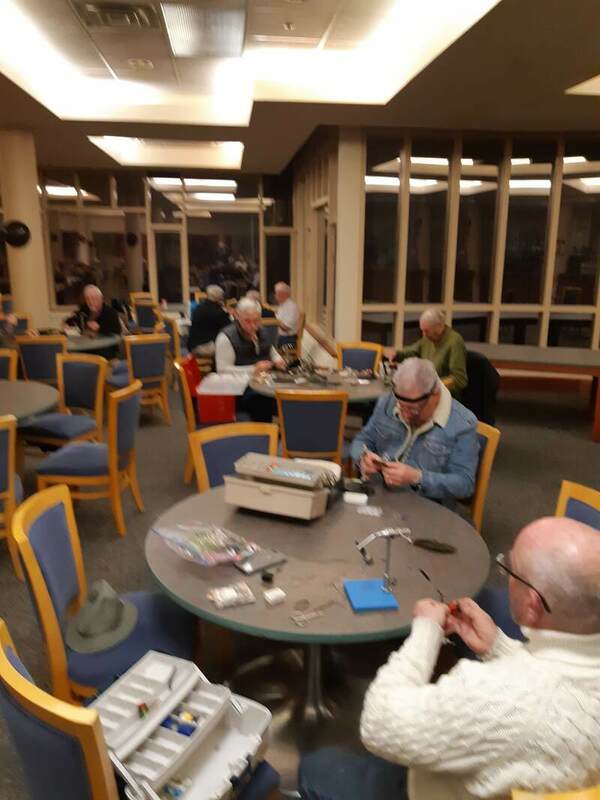 ​Contact us if you are interested in joining the club or if you have any questions.